via Western Mail and Echo. Reprinted from The Raymond Williams Society blog. On Wednesday, March 7, Michael Denning delivered the Raymond Williams Society Annual Lecture in Manchester. Can we begin by discussing your first encounter with Raymond Williams’s work? And how formative were the Centre for Contemporary Cultural Studies (CCCS) and Stuart Hall on your thinking? Did you meet Williams during your studies at Birmingham? My first encounter with Williams’s work came as an undergraduate in the mid-1970s writing a senior thesis on the prophetic books of William Blake, an effort towards what would then have been thought of as "Marxist literary criticism." I was reading Culture and Society (which I purchased used, for $1.15, in New Hampshire, circa 1975) along with David Erdman’s classic Blake: Prophet Against Empire, and E.P. Thompson’s The Making of the English Working Class. Williams’s Marxism and Literature (1977) soon joined Fredric Jameson’s Marxism and Form (1971) and Terry Eagleton’s Criticism and Ideology (1976) — with its critique of Williams — as the key books for me as I was first considering post-graduate work. But I suppose that Williams first really came alive for me in two contexts. Williams’s work was at the heart of arguments and discussions at a 1977 summer institute of the Marxist Literary Group, where I first met Fred Jameson and Terry Eagleton. That experience led me to the Birmingham Centre in the fall of 1978 (in the midst of what Stuart Hall called "the great moving right show" in an essay that appeared in the January of my year at the Centre). There, we — the new members of the Centre — learned the trajectories of cultural studies from Stuart Hall, and Williams was central to that story (I was the most junior — and most ignorant — member of the editorial collective that discussed drafts of Stuart’s "Cultural Studies and the Centre," which became the introduction to the Centre’s 1980 collection, Culture, Media, Language). I also devoured Politics and Letters (1979) in which Williams engaged several editors of New Left Review in interviews about his life, politics and work; that led me to delve deeper into further aspects of Williams’s work. To my regret, I never met him, but I did hear him speak about that time at a remarkable event at the ICA in London: John Berger had recently published Pig Earth (so it must have been about 1979 or 1980), and Williams, together with Berger and Eric Hobsbawm were on a panel about farming and peasants. I have a vague memory of Williams talking about the labor of farming, and particularly about birthing lambs. What place does Williams have in the formation and shape of American Studies in the US? When I first learned the history of American Studies and its origins in the "myth and symbol" school in the two decades after World War Two, Williams was rarely mentioned. American Studies was very much about distinguishing the peculiarities of the Americans at that time, even as it was often critical of notions of "Americanism" and the "American way of life." Later, I found that several early American Studies figures — like Leo Marx — were aware of Williams (and Hoggart), but in general, in the 1950s, American studies and British cultural studies seem parallel responses to the world of post-war mass communications and "consumerism" and the emergence of a new left. How relevant does he remain today to your work? Williams’s work has been a constant presence for me since the 1970s, and I regularly introduce students working in cultural studies and American studies to his essays. I think of four aspects of his method that stand out and can be seen in my work. First, the method of Keywords, a book I regularly return to, which demonstrates that the starting place of cultural studies can be one’s own vocabulary, the words one inherits and uses, often without thinking about them. The point is not, as some would have it, to define one’s terms clearly and insist on those definitions; rather, it is to understand any important word as a history of definitions, a struggle over meanings and connotations. The keyword as method has become a core element of the Working Group on Globalization and Culture, which I coordinate, and which was modelled on the Birmingham Centre’s "sub-groups." (For more on the Working Group and its methods see a recent collective interview in Revue française d’études américaines 2017/2). Second, in a context where cultural revolutions are announced with every new generation of iPhone, where cultural history is told by reviews of "decades" — the noughts, the nineties, the sixites — and where the temporality of the culture industries seems to follow the logic of fashion, I have always been struck by the usefulness of Williams’s generational experiment at the beginning of Culture and Society, where he just lists the dates where his characters turned twenty-five, to get a sense of the possible common experiences of a cohort, a generational "structure of feeling" that is in some tension from the "social character," as he puts it, of social classes. In all of my books I have tried to write about generation as a specific temporality of cultural history, and you will find tables of years when key figures turned twenty (a slight adaptation to Williams’s twenty-five) in Culture in the Age of Three Worlds and in Noise Uprising. Third, and most explicitly, the second half of The Cultural Front is based, methodologically, on Williams’s final, unfinished model of how to do cultural studies: his notion, outlined in the 1986 lectures collected in The Politics of Modernism, that "the most central and practical element in cultural analysis is what also marks the most significant cultural theory: the exploration and specification of distinguishable cultural formations…the steady discovery of genuine formations which are simulataneously artistic forms and social locations." Williams, to my mind, was always thinking to figure out a new form of "practical criticism" — "the practical element in cultural analysis" — that went beyond both the idea of "close reading" (either as an exercise of cultivated taste or a technique of rhetorical dissection) and the standard sociology of cultural institutions. His late reflections on the exploration, indeed discovery, of "formations" as the crossroads of cultural history and theory became a structuring method for The Cultural Front, and remain fundamental to cultural studies. Some people, when they see an idea, think the first thing to do is to argue about it. But while this passes the time and has the advantage of keeping them warm it has little else to recommend it. If there is one thing we should have learned from the Marxist tradition it is that ideas are always representations of things people are actually doing or feel themselves prevented from doing. So that the first way to look at the idea of commitment [or, insert any other idea] is not as some general notion about which we can at once argue, citing this or that historical case, but rather to see why the notion of commitment [or any other notion] was developed and against what alternative ideas it was directed (Resources of Hope, p. 77). It is a reminder that teaching and learning in a seminar is not, in the first instance, simply an argument, a taking of positions in some kind of debate or game, but is a collective and collaborative investigation, even discovery, of what the notions we hold mean and have meant, and even why we hold them. 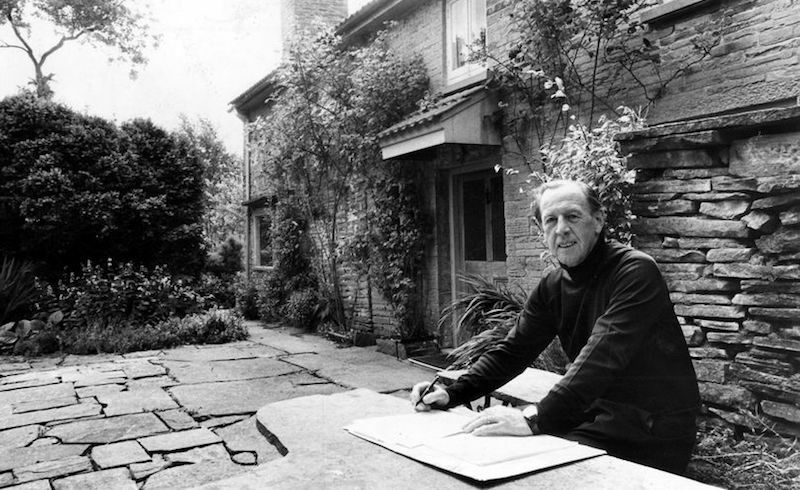 What can we expect from your Raymond Williams Society Annual Lecture? In 1968, Williams wrote a remarkable little essay on “The Meanings of Work,” which was published as a conclusion to a marvelous collection edited by Ronald Fraser, Work: Twenty Personal Accounts. First published in New Left Review, the volume, and Williams’s essay, was one of a number of late 1960s accounts that tried to make sense of the changes taking place in the experience of working. In my talk, I will return to Williams’s reflections on the meanings of work to consider the ways we think about laboring life today. Thank you for your time, Michael. To end then: I believe a particular interest of yours is L.S. Lowry? Will you be crossing the River Irwell during your time in Manchester and exploring Salford? Yes, I haven’t written on Lowry, but I use his work in teaching regularly. Though I have spent a good deal of time in Birmingham, London, and Yorkshire, this is my first visit to Greater Manchester (other than passing through Manchester airport). From Engels’s account of Manchester and Salford in The Condition to Robert Roberts’s The Classic Slum: Salford Life in the First Quarter of the Century (one of the first books we read in the M.A. course at the Birmingham Centre), to my recent readings of a classic older book — Robert Kargon’s Science in Victorian Manchester — and a brilliant new book — Andreas Malm’s Fossil Capital: The Rise of Steam Power and the Roots of Global Warming, I am looking forward to putting the city’s face to the city’s name.